How about composing the next edm hit single of yours alongside exploring your new musical toy? Resonance Sound got ready just in time to provide you with the successor of the highly demanded ‘MIDI Weapons’ series. 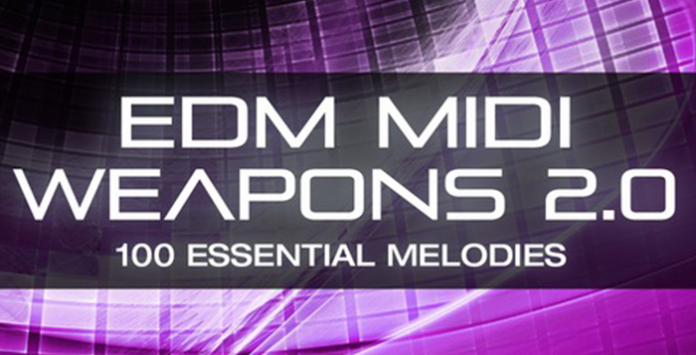 EDM MIDI Weapons 2.0 – This superb package is serious about getting some instant groove, inspiring lead themes, thrilling plucks and basslines or sweet pad sound out of any synthesizer you can imagine! Royalty-free, properly sorted and labeled you’re ready to go with 100 MIDI files perfectly suitable for the dancefloor. Get on with it and create your next electro & progressive house club smasher! All MIDI files are compatible with all major DAWs. Fire up your favorite synths and drop the midi files into your DAW for instant inspiration… All files are key-labeled to make choosing the right file even easier.